THE Contest Committee of the Aero Club of America has homologated the world’s altitude record made by Captain R. W. Schroeder, in a Bristol fighter equipped with a 300 H. P. Hispano-Suiza motor, of 28,900 feet above sea level, during a flight on September 18, 1918, at Wilbur Wright Field, Fairfield, Ohio, near Dayton. Nothing was more fitting. 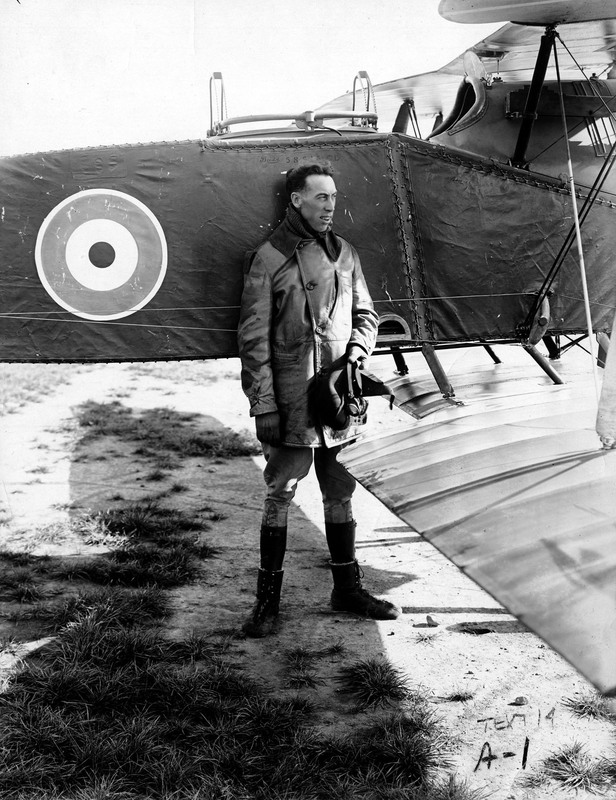 While the Allies’ aviators overseas are beating the Germans on the various fronts, an American aviator, Captain R. W. Schroeder, U.S. Air Service, beats the German aeroplane altitude record. Captain Schroeder left the ground at 1:45 P. M., September 18, 1918. and reached his highest point if 105 minutes, which would have been at about 3:30 P. M. It took him about twenty minutes to descend, landing about 200 miles from where he started, at about 3:50 P. M.
Captain Schroeder i sin charge of all Performance Tests at the Wilbur Wright Station and his duties require him to go to 21,000 and 22,000 feet quite often, and he generally goes without oxygen. In this record climb, he got well up to 25,000 feet without oxygen. He used no anti-freezing mixture and his maximum water temperature was 85 degrees centigrade at the start minimum and of 60 degrees centigrade at the highest altitude. The temperature of the air was 32 degrees centigrade below zero. 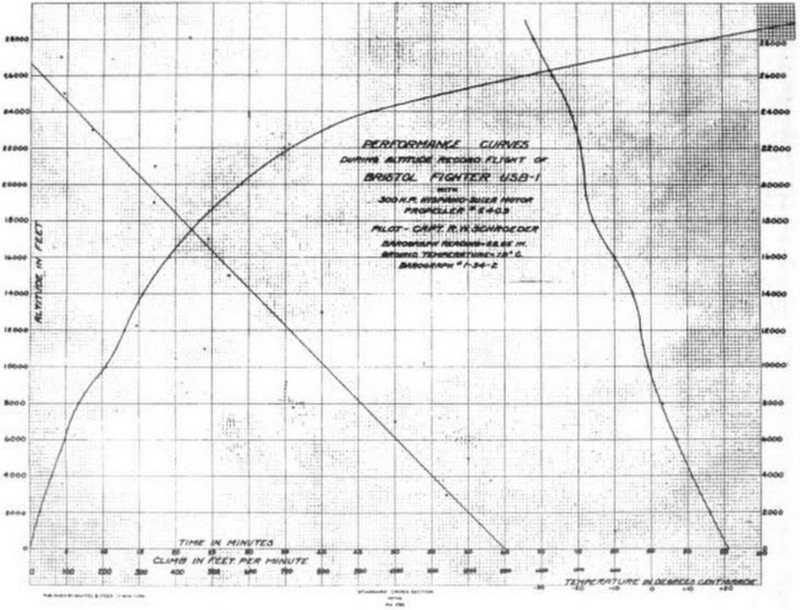 The reports, including the two barograph charts, duly calibrated and corrected: the performance curves, and the temperature record were certified to by Lieut. George B. Patterson, O. I. C. Performance Test Reports and the instruments were calibrated by the Bureau of Standards, and adjusted locally at the McCook Field Laboratory and personally installed on the aeroplane by Lieut. Patterson. The previous American altitude record was made by Caleb Bragg at Mineola, L. I., September 20, 1917, in a Wright Martin, Model V machine, when he reached an altitude of 20,250 feet, and the last world’s record of the International Aeronautic Federation made by G. Legagneux in France on the 28th of December, 1913, was 6,120 meters (20,258 feet). In July, 1914, a German aviator was reported as having flown to 26,200 feet, but the record was never submitted for homologation. This world’s record, made by Captain Ruddy W. Schroeder, is the first world’s aeroplane altitude record held by an American since the world’s altitude record made by Lincoln Beachey, at Chicago, Ill., during the International Meet, August 20, 1911, when he reached the height of 11,642 feet (3,548 meters). Under the rules of the International Aeronautic Federation, the international aeronautic body which controls all aeronautic sports and gives the necessary official records, a pilot must hold the International Aviator’s certificate to have his record recognized. This certificate is issued in the United State by the Aero Club of America, which is the federation’s sole representative in this country. Captain Schroeder held the the F. A. I. certificate at the time he made the record, therefore his record will be accepted by all the countries affiliated with the International Aeronautic Federation and the Pan-American Aeronautic Federation, which represents twenty Latin American republics. Under the rules of the Federation to establish an altitude record it is necessary to best the old record by at lease 100 meters. Captain Schroeder, therefore, beat the record by a good margin and has gone higher the the highest mountain, with the exception of the highest peak in the Himalaya, which rises 29,002 feet. Captain Schroder is a veteran of the aeronautic movement. He is an old time member of the Aero Club of Illinois and well known for his ability as an aviator and aeronautic engineer. 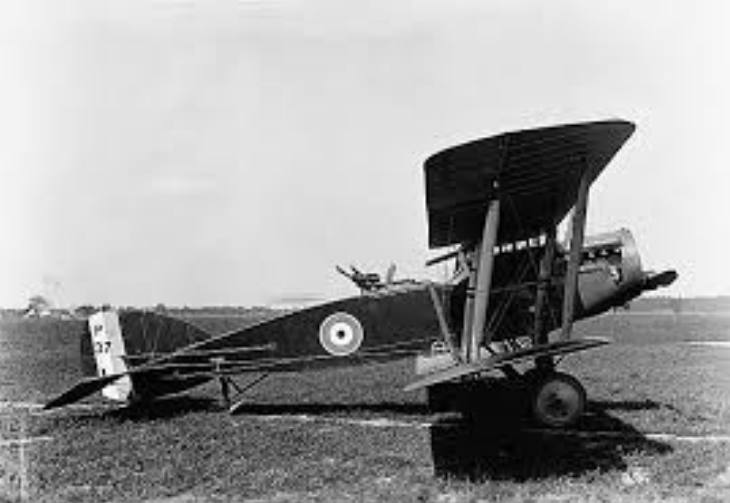 The Bristol F.2B was a two-place single-engine two-bay biplane fighter, designed by Captain Frank Sowter Barnwell, O.B.E., A.F.C., and built by the British and Colonial Aeroplane Co., Ltd., Filton and Brislington, Bristol, England, and several other manufacturers. More than 3,800 were produced and some considered it to be the best two-place fighter of the First World War. The F.2B was 25 feet, 9 inches (7.849 meters) long. Both upper and lower wings had a span of 39 feet, 3 inches (11.979 meters) and a chord of 5 feet, 6 inches (1.676 meters). The total wing area was 405 square feet (37.63 square meters). Both wings had an angle of incidence of 1½°, and 3½° dihedral. There was no sweep. The lower wing was staggered 1 foot, 5 inches (0.432 meters) behind the upper wing. In order to give the gunner a better range of fire, the lower wing was not attached to the bottom of the fuselage. This had the effect of lowering the upper wing while maintaining a vertical gap of 5 foot, 5 inches (1.651 meters). The gross weight of the F.2B was approximately 2,810 pounds (1,275 kilograms). The Bristol Fighters were powered by Rolls-Royce Falcon engines. 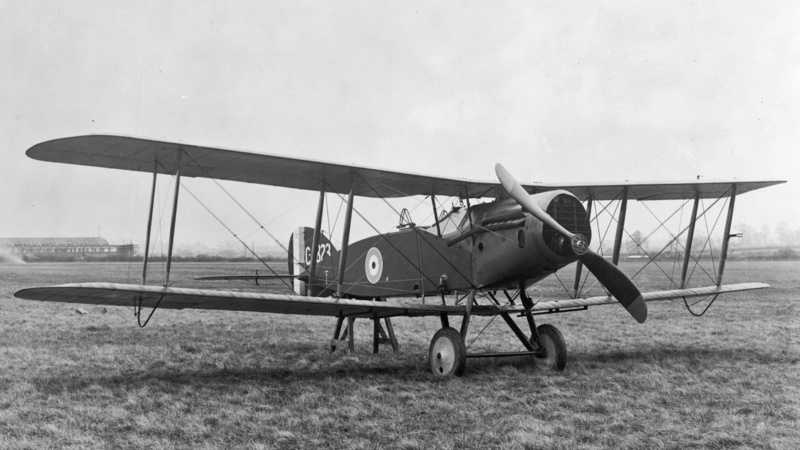 The F.2B was equipped with the Falcon III. The Falcon was a water-cooled, normally-aspirated 867.080-cubic-inch-displacement (14.209 liters) single-overhead camshaft 60° V-12 engine. The Falcon III had a compression ratio of 5.3:1 and had a Sea Level rating of 288 horsepower at 2,300 r.p.m. The propeller gear reduction ratio was 0.589:1. The F.2B had a maximum speed of 125 miles per hour (201 kilometers per hour) at Sea Level, and 113 miles per hour (182 kilometers per hour) at 10,000 feet (3,048 meters). The fighter could climb to 10,000 feet in 11.5 minutes, and to 15,000 feet (4,572 meters) in 21.5 minutes. 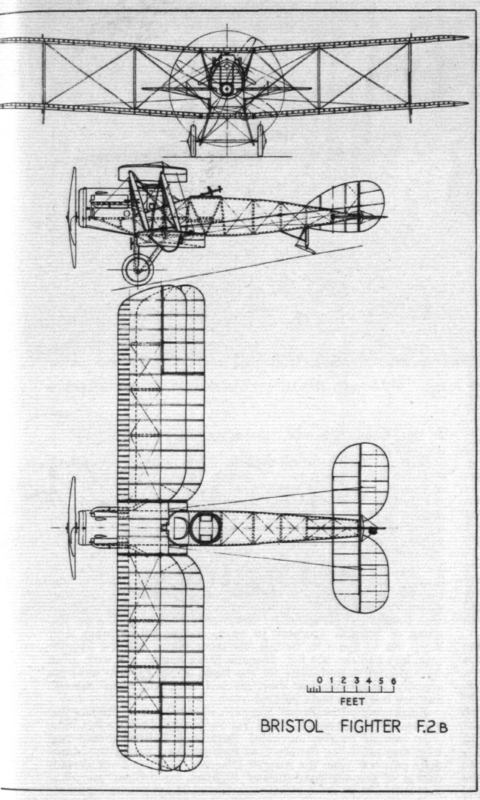 The Engineering Division at McCook Field found that the Liberty was too heavy to be practical when installed in the Bristol F.2, and other engine types were considered. One of the pattern aircraft was modified to accept a 300 horsepower Hispano-Suiza V-8 engine. 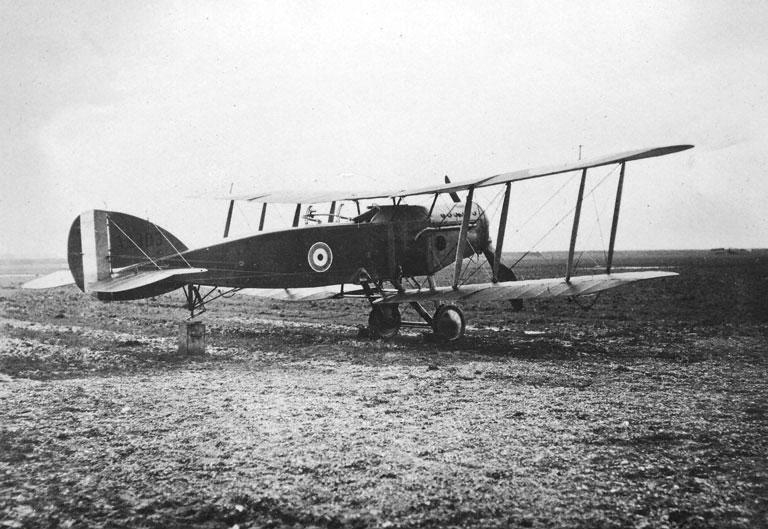 P37 was the project number assigned to the second of the two Bristol F.2B fighters evaluated at Wright Field in 1918. When equipped with the Hispano-Suiza V-8 engine, the modified F.2B had an empty weight of 1,733 pounds (786 kilograms), and maximum of 2,630 pounds (1,193 kilograms). It had a maximum speed of 128 miles per hour (206 kilometers) per hour at Sea Level; 105 miles per hour (169 kilometers per hour) at 10,000 feet, 100½ miles per hour (162 kilometers per hour) at 13,000 feet, and 97½ miles per hour (157 kilometers per hour) at 15,000 feet. With the Hispano, the F.2B could climb to 1,000 feet in 1 minute, 10 seconds, 10,000 feet in 15 monutes, 5 seconds, 15,000 feet in 28 minutes and 50 seconds. ³ A source states that P30 carried the RAF identification number C949, and that P37, C4729.